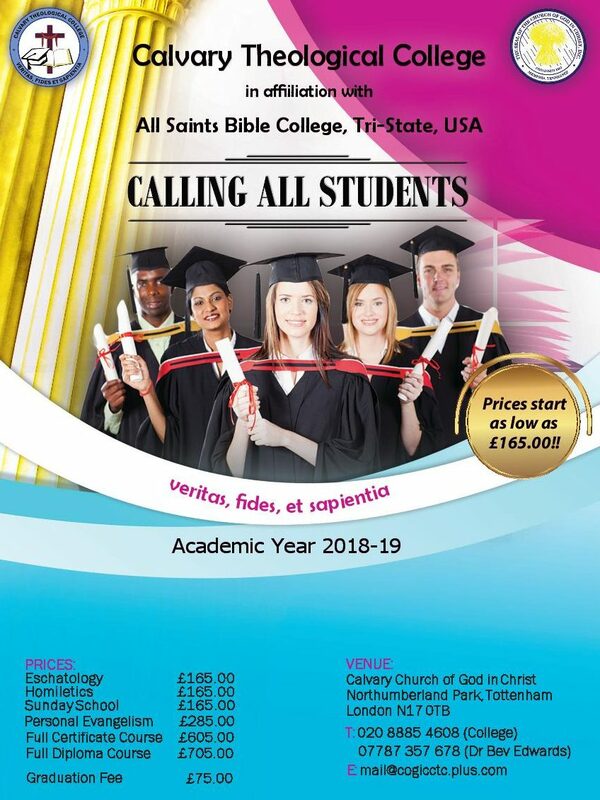 Calvary Theological College is an Auxiliary of the Church of God in Christ (a registered Charity) which nationally is led by Dr. Alvin Blake, our Jurisdictional Bishop. Our International Headquarters is in Memphis, Tennessee, and the Church is headed by Bishop Charles E. Blake. Our Doctrines and Statement of Faith are based on the Holy Scriptures and our teaching can therefore be trusted: hence our motto ‘veritas, fides et sapentia’. We are committed to providing a stimulating and motivating learning environment, one that equips and prepares students for ministry. 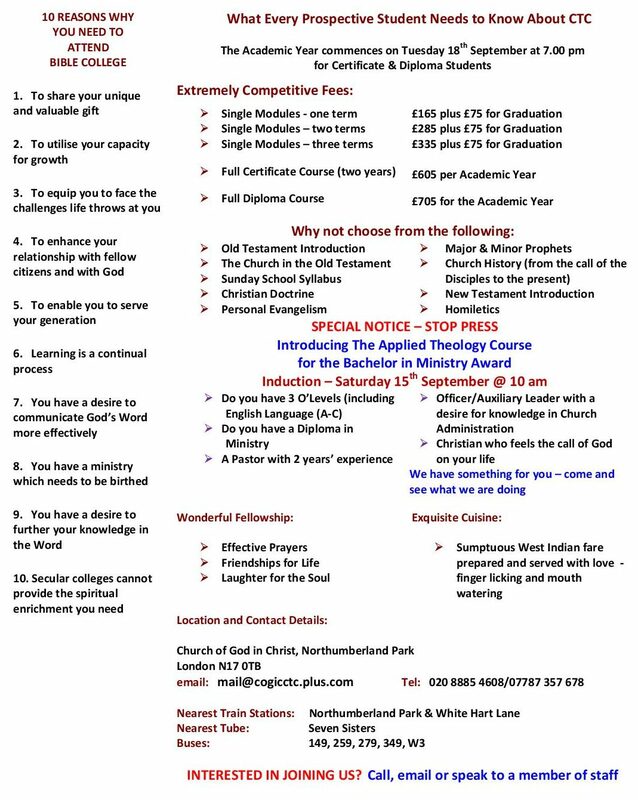 Not only are we looking forward to imparting knowledge to you from the Word of God, but we are also looking forward to drawing on your knowledge and experience so that we can all grow together.